Help search for the Funniest Books! A glimpse into SWEEK, a mobile platform whose motto is that stories never end! Nowadays, people are moving more towards ebooks instead of investing in a physical copy of books. This is proving to be quite useful in many ways, making it easier to carry books around. 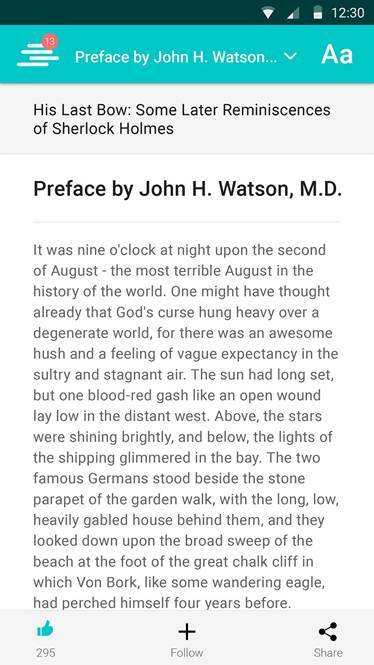 With Sweek, reading books on mobile devices is made easier and more user friendly. An interesting concept, read on to know more about the app and how it came to be. Sweek is a mobile platform which allows anyone to read, write and share stories. All over the world. In an instant. For free. It allows the user to read from a number of options, write or publish their own work and reach a large reader base, as well as share their favourite stories with friends via the various social media platforms. Sweek was incubated by Mybestseller, the European market leader in self-publishing. The founders of Mybestseller saw an opportunity in the rising trend of mobile publishing. Key were changing reading habits, serialization of content and short stories. After some research and deliberation, the Sweek concept was born! In September 2015, Sweek was formally established. Since then the team grew considerably and now consists of 14 members. Now, since June 2016, Sweek has been available to the public on both Android and iOS platforms! By introducing Sweek, Mybestseller offers publishers a comprehensive proposition and innovative tools for self-publishing and mobile publishing that can be easily integrated in their strategy in the fast changing publishing world. The focus is on creating synergies between traditional, mobile and self-publishing. Next to directly increasing sales via the marketing tool, publishers can benefit in other ways from using Sweek. Big data is very important to publishers, as it gives insight in reading behavior and trends, and in the reader demographics of their writers. Publishers can also use Sweek to scout upcoming writers with a large online follower base, who have already proven themselves: the new rockstars of writing will arise from mobile publishing. 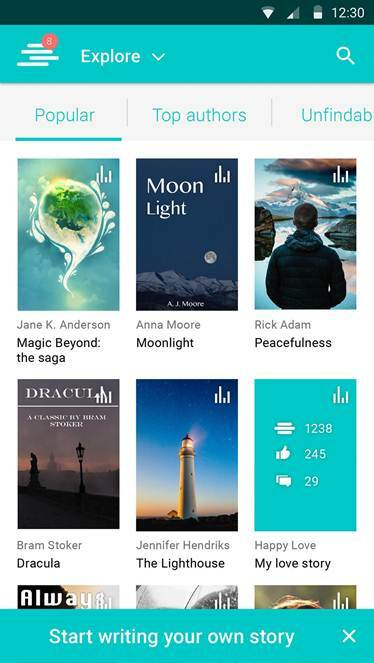 Next to the Sweek mobile publishing platform, users are offered the opportunity to publish their paperbacks or e­-books via Sweek self­-publishing. For free. The state-of-the-art publishing platform enables any author to easily publish, promote and sell books. All relevant sales channels and a variety of additional services are available to the user. The best thing is, there are no costs upfront and authors receive a royalty per sold copy. Even though stories are available for free on Sweek, the team is convinced that fans would love to have an e-book or a printed copy. If you want to read more about the Sweek story and the team, just check out the Sweek blog.